Description: A bronze statue of the muse Fame supports a defeated and dying soldier who clutches his gun; Fame, a winged figure dressed in robes and wearing a laurel wreath atop her head, holds a second wreath high into the air as if to place it on the soldier. The statue stands on a pink granite pedestal. 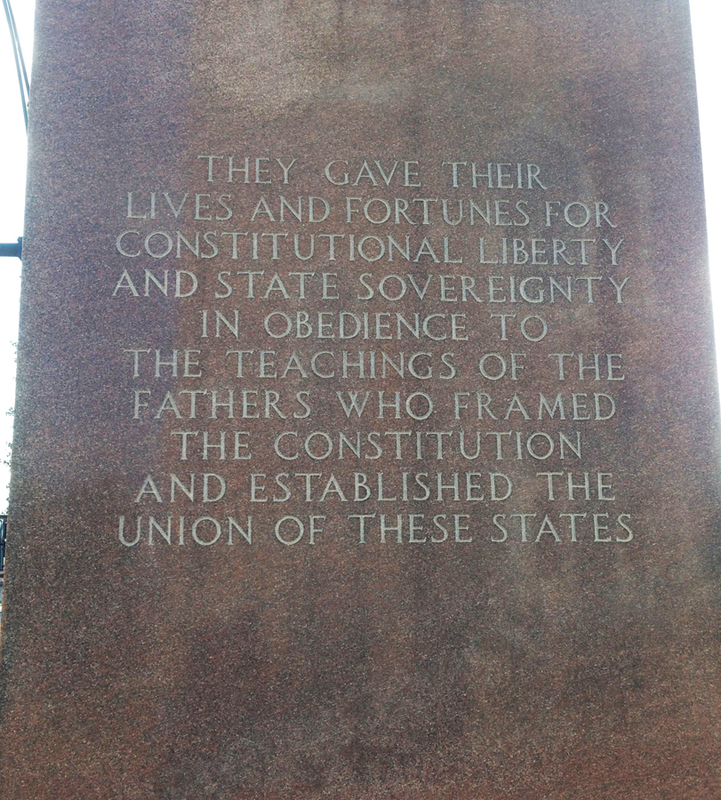 From the bottom of the pedestal to the top of the bronze grouping, the monument measures almost 23 feet. 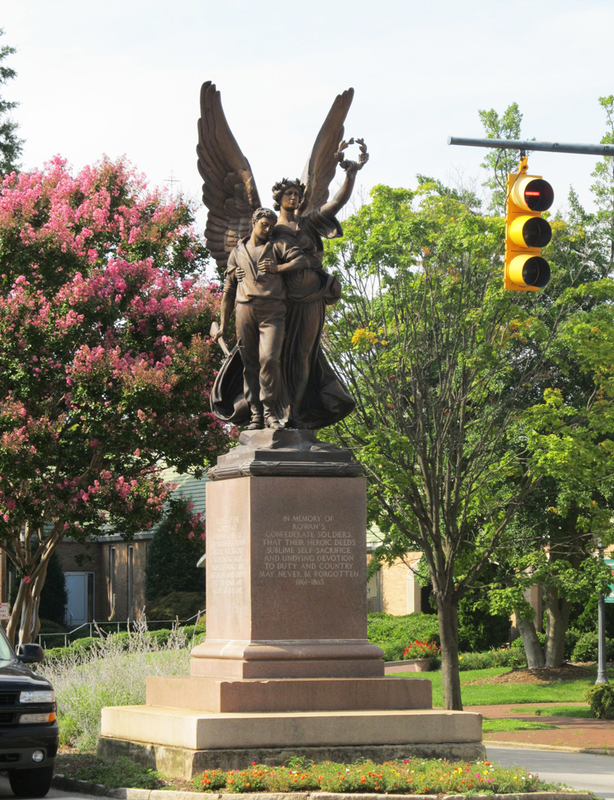 The United Daughters of the Confederacy (UDC) chapter decided on the statue in 1901. 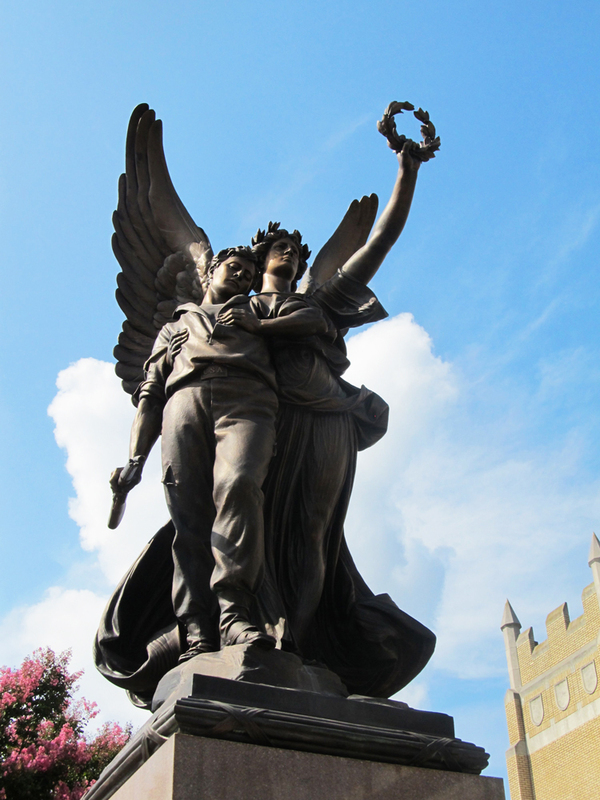 The completed statue arrived in Salisbury in 1905, but the land that the monument sits on wasn't deeded to the UDC until 1908 by the Salisbury Board of Aldermen and Mayor. Materials & Techniques: Bronze statue, pink granite base. Unveiling & Dedication: Frances C. Fisher Tiernan, a Salisbury native, writer and novelist, and daughter of Col. Charles Fisher, composed a poem for the unveiling. Post dedication use: It has been suggested that the monument be moved, as more than one car has run into the granite base. 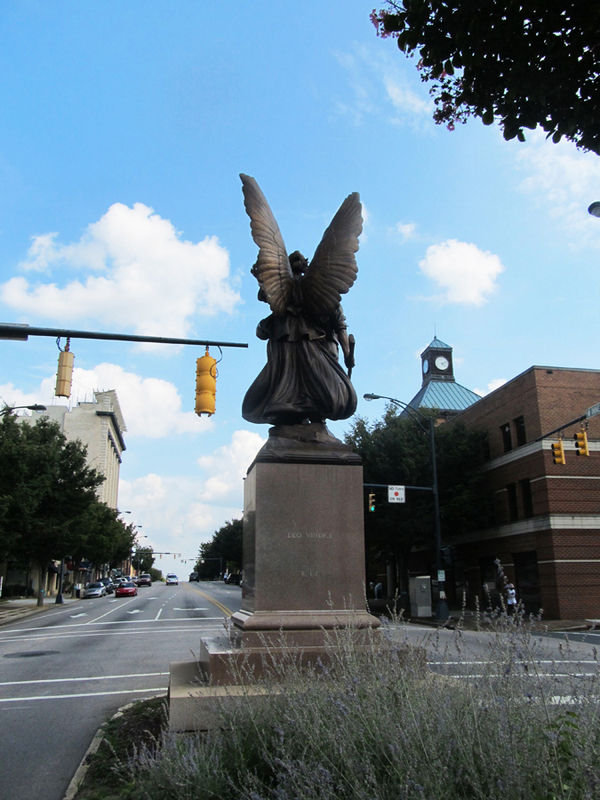 It was restored in 1991 by the Hoke Chapter of the United Daughters of the Confederacy (UDC). 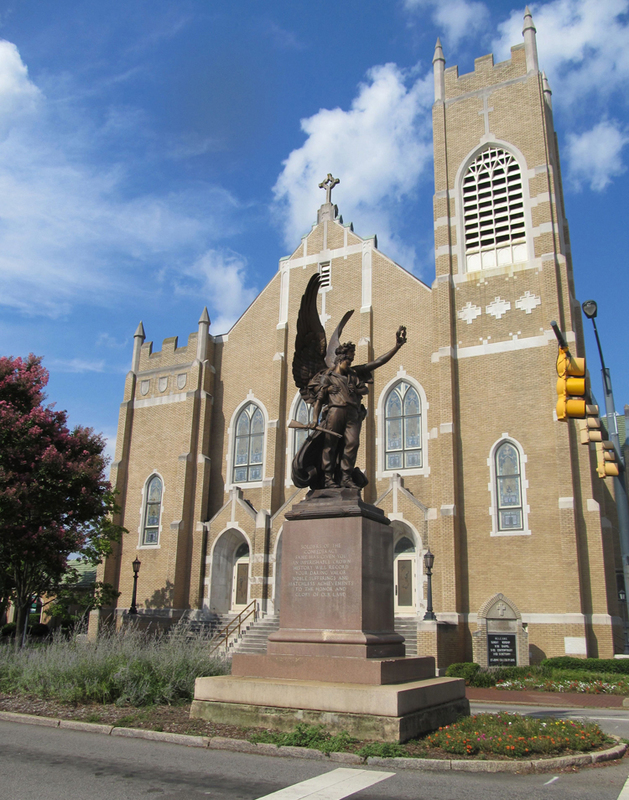 The repairs cost $14,000 and were completed by Karkadoulias Bronze Art Co. in Cincinnati. The UDC also celebrated the monument's centennial on May 9, 2009. 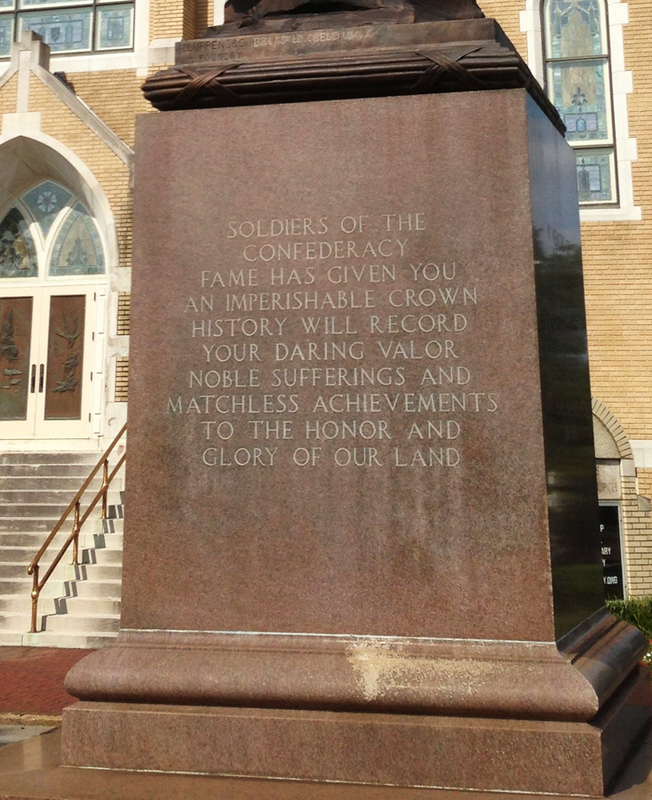 The monument is occasionally used by the Hoke chapter of the UDC to commemorate specific Confederate soldiers by placing wreaths at the monument. 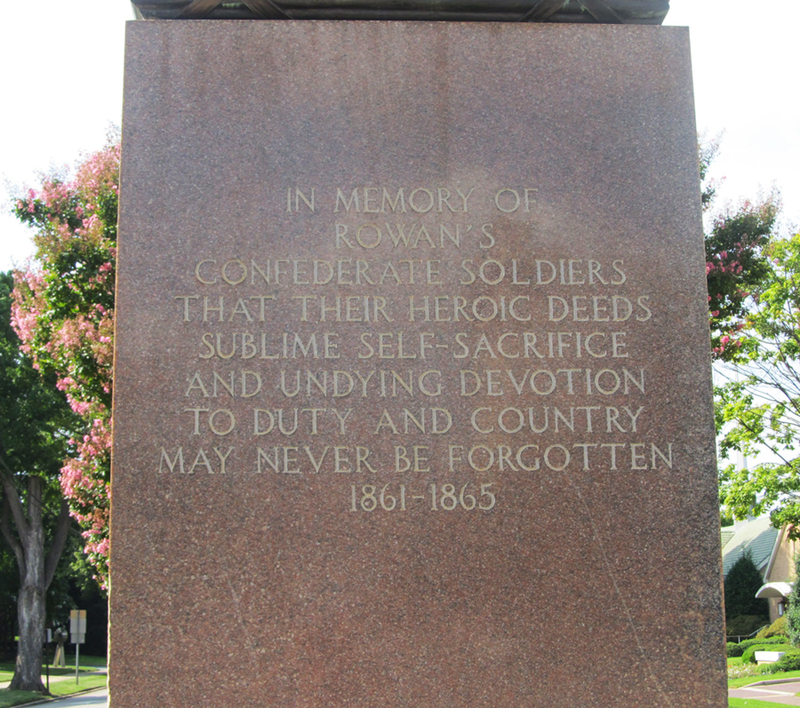 Subject notes: The dying soldier in the bronze grouping was modeled from an 1861 photograph of Confederate Lt. Henry Howe Cook of Franklin, Tennessee. 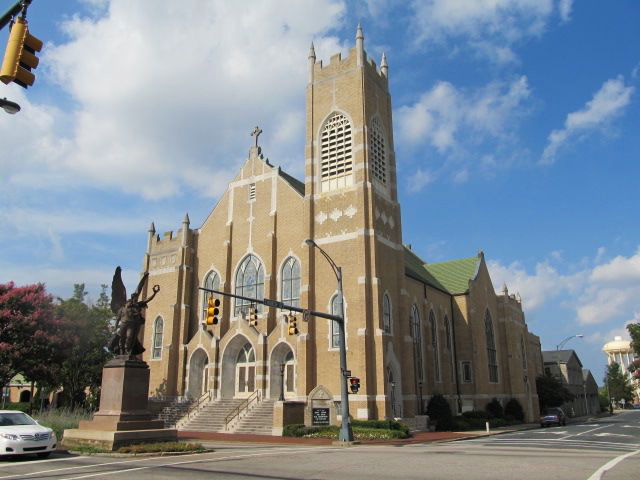 Location: Located at the intersection of West Innes and Church Streets, facing southeast. Access is limited due to traffic.